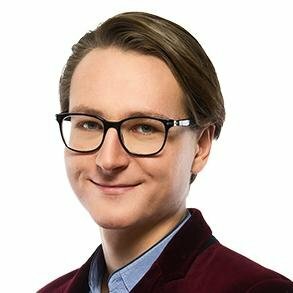 You’re about to see a killer assistant manager resume example. Even better? You’re going to learn how to write one yourself. To land the job of your dreams, your assistant manager resume has to show that you’ll be able to understand every aspect of the enterprise, decide what’s important and what’s not, learn to read the manager’s mind, and, finally, be the manager, when the manager’s not there. Fail to convey this message on a resume, and your career is going nowhere. An assistant manager resume sample better than 9 out of 10 other resumes. How to write an assistant manager resume even if you have no experience. Tips and examples of how to put skills and achievements on an assistant manager resume. How to describe your experience on a resume for assistant manager positions to get any job you want. 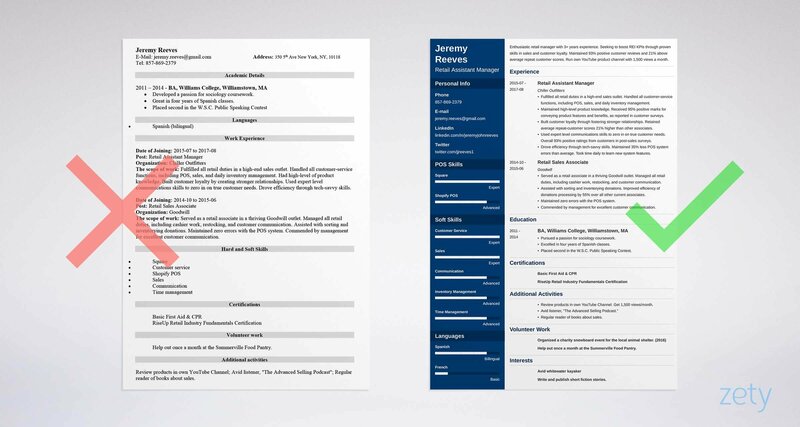 Here's a sample resume for an assistant manager made using our resume builder. What’s the Best Format for an Assistant Manager Resume? They don’t read the whole thing. They skim it for what’s most important to them. Make it easy to find the most relevant details on your assistant manager resume. Choose the respected reverse chronological resume format. Recruiters are familiar with it so they’ll know where to look for what they need. Plus, it lets you put your best foot forward. It showcases the peak of your career. Here’s what to include in a reverse-chronological assistant manager resume, from top to bottom. Pro Tip: Once you’re done writing your professional resume for assistant manager positions, save it in PDF. This way, you’ll keep your resume layout intact. Just remember to double-check with the assistant manager job description if the company accepts PDF. If not—send your resume in DOC. How to Write an Assistant Manager Resume Objective or Summary? Remember those 6 seconds of a recruiter’s attention your resume gets? Scary, right? But what if you could make her actually read your whole resume? Wouldn’t it be great? Put a perfectly crafted assistant manager resume objective or resume summary at the top—a short and sweet paragraph just below your contact information that explains why you’re the perfect candidate for this job. Resume summary gives an outline of your career and highlights your best achievements. Use it if you’ve got relevant experience. Resume objective, in turns, discusses what you’ve learned so far and shows how you’d fit in. If you’re writing an entry-level assistant manager resume or if you’re changing careers, go for the resume objective. The key thing? You need to make your assistant manager resume objective or summary solely about your employer’s benefits, not your personal gain. Don’t write about what you want out of the job. Focus on what you have to offer. Check out these sample assistant manager objectives and summaries to see what I mean. Entry-level retail associate with a BA from Williams College. Seeking real world experience in retail. No experience yet but I'm very energetic. Have a look at another retail assistant manager resume objective sample. Hard-working retail associate, skilled in POS tech and inventory management. Seeking to increase sales and customer loyalty as Assistant Store Manager at Chiller Outfitters. Built volunteer retail experience at Goodwill as cashier and restocker, receiving management commendation for excellent customer communication. This one’s sure to get every hiring manager interested and eager to read on. Why? Because it makes an offer the hiring manager cannot refuse. Now let’s see how to write a summary on a resume for asst manager positions. Engaging restaurant worker and manager with 7 years of experience. Seeking to help Legal Seafoods in reaching their goal of food service industry excellence as the new Assistant Manager. Managed 25 cooks and waitstaff in fast-paced, high-end restaurant. Handled inventory, vendors, and hiring. Reduced turnover by 25%. That’s what hiring managers want to hear. This candidate’s getting the call-back, that’s for sure. Pro Tip: In every resume objective or summary for assistant manager positions, address the company by name and indicate the position you’re targeting. Yup—that means you cannot send one general assistant manager resume for every application. And that’s the point. Personalization works wonders! Writing the perfect assistant manager resume objective or summary can be tricky. For more expert tips and real-life examples, check out our handy guides: How to Write a Resume Summary and How to Write a Resume Objective. How to Describe Your Assistant Manager Work Experience? An assistant manager assists the manager. But we both know this isn’t enough to get the job and keep it, is it? In the work experience section, don’t just talk about your past assistant manager duties and responsibilities. Focus on your achievements. So now you’ve learned the theory. Time to see how it works in practice! 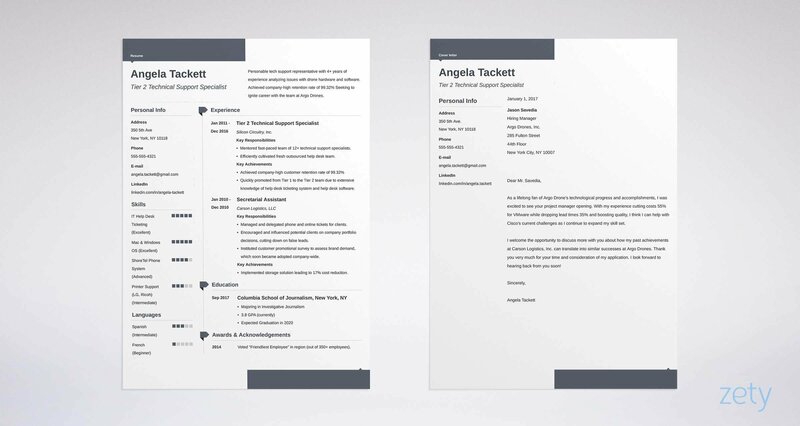 Want to see an example of an assistant manager resume from a different industry? Here we go! Led a team of 75 customer service representatives for On Point Electronics for five years. Increased customer retention by 38%. Increased employee retention by 22%. Key achievement: Raised customer experience phone survey ratings by 58%. Nailed it. Numbers, action verbs, key achievements—all check. Is the education section of an assistant manager resume the easiest one to write? Pro Tip: If you’ve got more than 6 months of professional experience, don’t include your GPA. Omit it also if it’s not higher than 3.5. It could do you more harm than good. But sometimes you need a bit more. For instance, if you’re writing an entry-level resume with little professional experience, it’s your education section that you should focus on. Show prospective employers you mean business. Here’s an example of a great assistant manager resume education section. Excelled in Employment Relations coursework. Started and ran a discussion club on modern trends in employer branding. My Honors Thesis on Organizational Psychology was linked to by the Harvard Business Review. Sometimes that’s all it takes to convince employers to give you a shot. What are the Best Skills for an Assistant Manager Resume? Your skills are, ultimately, what’s of value to your employers. So what’s the best way to show them? The skills section of your assistant manager resume can’t be filled with all skills you think you have listed in whatever order you see fit. You need to highlight those skills that a given company wants. Remember when I mentioned tailoring? Here it comes again. See what I mean. In need of a real-life example? There you go. Business Development: Developed new business to push sales revenue from $750,000/yr to $1.1 million in 1 year. Just perfect. That’s exactly what the hiring manager’s been looking for—relevant skills backed up with solid evidence of past success. Pro Tip: Don’t talk about your skills only in the skills section. Sprinkle them throughout your work experience and education and mention one or two in your resume objective or summary. How to Add Additional Sections to Make an Effective Assistant Manager Resume? Almost all candidates lie on their resumes. And recruiters know that. That’s why they read every resume they get with a pinch of salt. Add an extra section that provides proof that you’re a valuable candidate. List your unquestionable wins. Have a look at some ideas for an additional section on a resume for assistant manager positions. Can’t showcase any of the above yet? Don’t fret. A junior management assistant resume can still benefit from an extra section. Pro Tip: To beef up a flimsy assistant manager resume, consider taking an online training class or two. You can finish most in two or three hours without leaving home and they can make a huge difference for your chances of landing that dream job. How About an Assistant Manager Cover Letter? Some of your peers might’ve told you that nobody reads cover letters in 2018. Never take any advice from them again. Because almost half of recruiters won’t open your resume if there’s no cover letter attached. An assistant manager cover letter is often expected even if the job description doesn’t explicitly state so. And it can be used to your massive advantage. It’s your asst manager cover letter that can get you there! If you attach a cover letter to your resume, you can highlight your creativity. And you get the chance to explain why you’re interested in pursuing your career. Your cover letter can prove to recruiters that you’re motivated and driven. But it’s not only junior candidates who should write a cover letter. It doesn’t matter if you’re writing an HR assistant manager resume, a senior assistant property manager resume, or a resume for assistant sales manager gigs. Including a cover letter in your application doubles your chances of getting hired. Can’t argue with the stats, can you? Pro Tip: Make your assistant manager cover letter personal. Use the job poster’s name. For bonus points, do some research—visit the company website and mention something you like about the way they run their business. Personalize every resume you send. Mention the name of the company you’re applying to and refer to the requirements listed in the job ad. Open your assistant manager resume with a resume summary or a resume objective. Give an outline of your most valuable skills and successes. In the work experience section, use action verbs and emphasize your achievements, not just assistant manager duties. Quantify whenever possible. Choose numbers over descriptions. Don’t beat around the bush—be specific and straightforward. For the final word—keep your phone at hand. You’ll get flooded by interview callbacks!